Ford Motor Co. will establish a research and development centre in Ottawa as part of a $1.2-billion investment it will make in its Canadian operations over the next four years. The auto maker made the announcement Thursday in Windsor, Ont., where its Essex Engine Plant will begin building a new V8 engine, preserving 500 jobs. The new research centre in Ottawa will hire 295 engineers, who will work on developing autonomous and connected vehicles. Ford will establish satellite engineering centres in Waterloo, Ont., and Oakville, Ont., site of a Ford assembly plant and Ford Motor Co. of Canada Ltd. headquarters. The Ontario and federal governments will contribute $102.4-million each to help finance the projects. “This is in a sense where our traditional auto sector meets our new economy auto sector in a really sweet spot for where you can see Ontario’s auto sector heading,” said Brad Duguid, Ontario’s Minister of Economic Development. “Ford is preserving its traditional manufacturing base here [in Windsor], which is great news considering it’s a plant that a number of years ago was seen by many as dead and gone,” he said. The establishment of the centre in Ottawa is another major boost for automotive research in Ontario, which has traditionally been a location for vehicle and parts production by the Canadian units of the Detroit Three auto makers while research and development for North America was performed almost entirely in Michigan. The Ford research announcement follows the General Motors of Canada Ltd. plan announced last year to hire about 750 engineers and open a new research facility in Markham, Ont., that is also focusing on autonomous and connected vehicles. Many of the engineers for the new Ottawa research centre will come from BlackBerry Ltd., representing most of its remaining smartphone-hardware employees. No workers will move from BlackBerry’s QNX division, which provides operating systems for assisted driving and infotainment technology used by Ford. “We were able to leverage the opportunity for a lot of experienced and highly capable BlackBerry employees to come join Ford with all their QNX operating experience,” Joe Hinrichs, president of the Americas for Ford, said in a telephone interview from Windsor. Connectivity also plays a key role in autonomous driving, because vehicles need to be connected to everything around them so the so-called brains behind self-driving systems have the correct data and information, he said. He said Ford is not confirming what engine will be allocated to Windsor or when, but said the announcement reinforced the commitment Ford made to Unifor during the contract negotiations last fall. Global auto makers and their parts suppliers are spending billions of dollars developing autonomous and connected vehicles – in part to pre-empt potential challenges by tech giants Apple Inc. and the Google division of Alphabet Inc.
Ford agreed during contract negotiations with Unifor last fall to invest $700-million in its Canadian operations, which include two engine plants in Windsor and the assembly plant in Oakville. 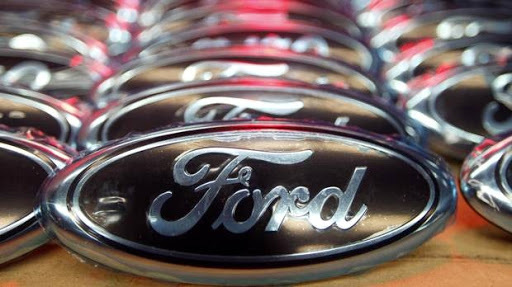 The Essex engine plant will assemble Ford’s new 7X engine, a 6.9-litre V8 engine that will eventually replace the 6.8-litre V10 engine that is now offered as an option on Ford’s best-selling vehicles, its full-sized pickup trucks, industry sources familiar with Ford's plans said.